The implications of this slowdown in Chinese growth are extremely negative for the world as whole. 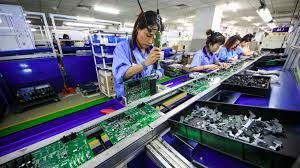 This article reports that China’s economy grew at an annual rate of 6.4% in the fourth quarter of 2018. That’s the lowest quarterly growth rate ever reported by China. Yet even that growth rate is overstated. Much of that growth is investment and as much as half of Chinese investment is wasted on industrial overcapacity, white elephant infrastructure and ghost cities financed with unpayable debt. Adjusted for that waste, actual growth is probably closer to 4.9%. Some dissident analysts in China report that even the 4.9% figure is high. China’s rate of growth for all of 2018 was 6.6%, down from 6.8% in 2017. China’s 2018 growth was the lowest rate since 1990. This weak growth affects not only China but also its trading partners. Slow growth in China means fewer purchases of commodities from countries like Australia, Brazil and Iran. It also means less outbound investment by China in places like Canada and the U.K. Slow growth for China means slower growth for the world. All signs are that this slowdown is not temporary but will grow worse in 2019 and beyond. What happens in China does not stay in China. Weak growth could be a major contributor to recession in its trading partners and possible a global recession, the first since the financial panic of 2008.